3 Comments Published by Cedric Benetti on Monday, November 17, 2008 at 11/17/2008 12:34:00 PM. 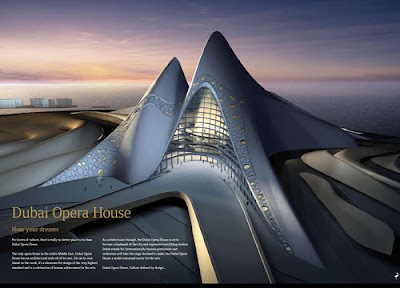 Finally the Persian Gulf region will get one of the rare things they don't have (yet) over there: it's own opera house! 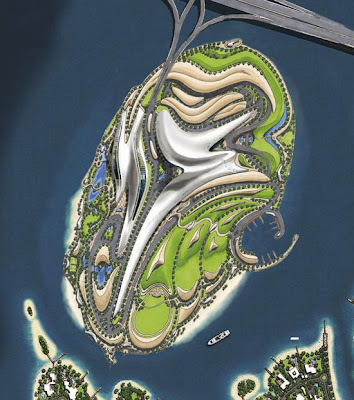 Crazy lady Zaha Hadid and her Pritzker Prize-winning architectural madness will create a cultural center in the middle of the newly created Lagoons District of Dubai. The complex will accommodate an opera house with a 2500 seating capacity, an 800-seat playhouse, a 5000-square-meter (54000 sq ft) arts gallery, a performing arts school, and a '6 star' themed hotel on a purpose-built island in Dubai Creek. 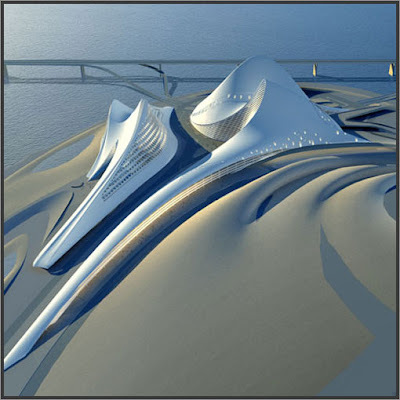 It is also said that it will feature two libraries, an outdoor theater, and a marina. "The proposal houses all of the facilities within a single striking structure. The gentle winding form evokes images of mountains or sand dunes. Rising out of the ground, this form is both a part of the landscape yet very much a distinct element in the skyline. 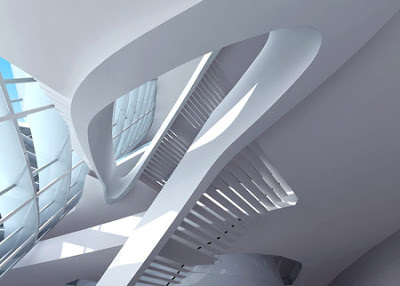 The surrounding landscape forms build up to the main building." This wacky new project twill be added to the immense array of what is today a pharaonic building site, also known as 'Dubai'. 25 percent of the world's cranes are in Dubai at the moment, which makes a grand total of 30000 cranes, compared to a population of 1.3 million, this means there is a crane for every 44 people in Dubai. It's so beatyful in Dubai and my father is moving to Dubai, he will be working as Project Leader, he is going to build 1 000 houses in Palm Islands... by the way love your blogg!!! This woman must become genius..!! 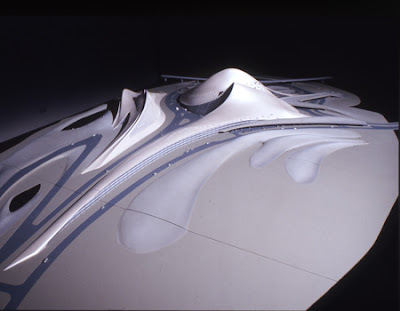 Zaha Hadid is not only a great architect but a very creative skillful expert product designer as well. She recently designed a Z-Car design that was very impressive. 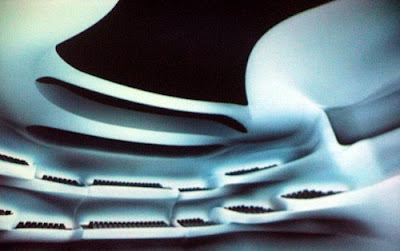 The Aqua Table is an other piece of his creativity and no doubt this space opera is awesome. 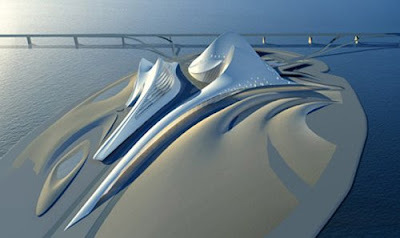 The concept behind its design is very new and obviuosly we can acpect this from The only one Zaha Hadid.